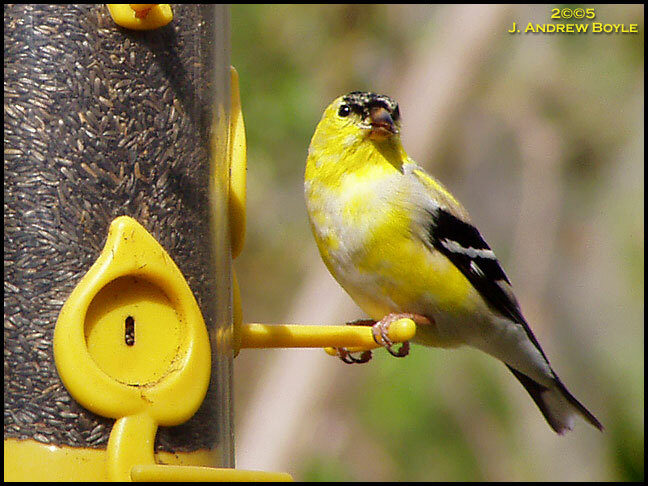 After 3 years of trying, the Goldfinches found my yard! Yippee!! Not content with shots from the door, I waited in a chair next to the feeders. Hunger overtook fear after about 20 minutes.